Their relationship has grown stronger with this expanded partnership. Talia Limited expanded its partnership with Arabsat by leasing multiple transponders on the Ka-band High Throughput Satellite (HTS) of Arabsat’s 5C satellite, located at 20 Degrees East. The Middle East is already citied by the ITU as being the second least Internet connected region in the world with 58 percent of the population being off-line. Utilizing services such as this will give more people the opportunity to get online and help bridge the digital divide. This multi-year agreement continues to strengthen the relationship between Talia and Arabsat. Talia will offer IP VSAT services in Ka-band to Iraq, Kurdistan and Afghanistan that utilize the smaller, more affordable 74cm VSAT antennas. Alan Afrasiab, President and CEO of Talia Limited added that Talia has operated high-quality VSAT and terrestrial services across these regions for the past 15 years. 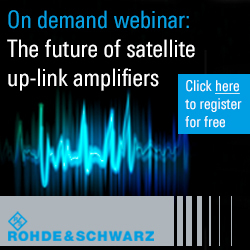 These new Ka-band services complement their existing satellite coverage on Ku- and C-band. By using the Arabsat HTS Ka-band platform they will bring new opportunities to the region with lower hardware costs and more affordable service fees. On this occasion Khalid Balkheyour, President and CEO at Arabsat cited that they are delighted to extend their partnership with Talia who are recognized worldwide for their reliable Satellite and Terrestrial Networks solutions. 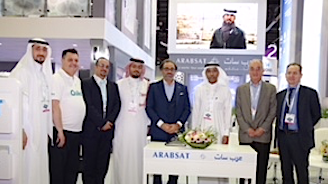 The demand for connectivity in this region has seen a continuous growth and this agreement will further cement their partners confidence in Arabsat to provide high-quality and reliable services.